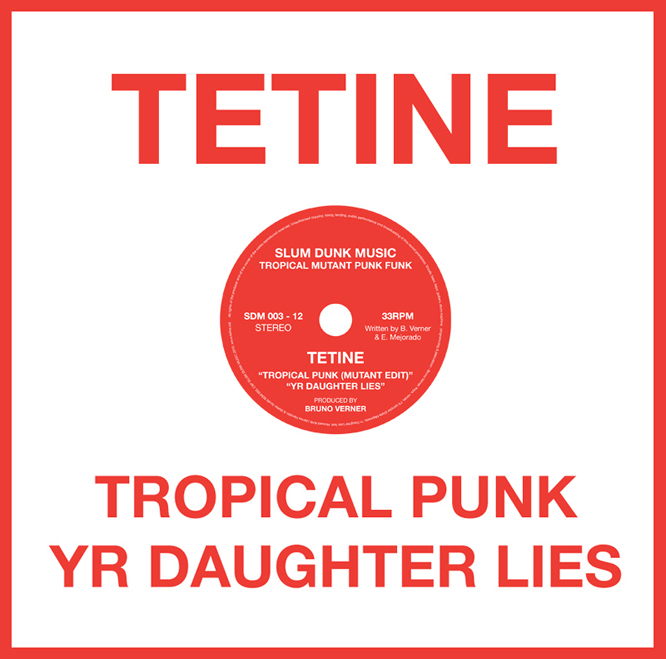 Slum Dunk Music presents Tropical Punk 12' EP featuring 4 warm & wild dance punk numbers taken from their latest album From A Forest Near You. 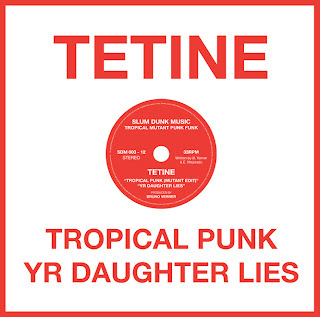 The opener Tropical Punk (Mutant edit) comes with a brand new mutant funk re-edit with more percussion, more analog synths, warm drum machines, and a funky bassline. flying around in the mix. It marks Tetine's collaboration with L.A. minimalists Howard Amb. set against organic drum beats, dissonant soundscapes, a lost trumpet & some great interplay of raw guitars. discordant interplay of ultra-funky guitars, abstract synth-bass plus all sorts of FX & live electronics. The result is a mid-tempo non-obvious South American cannibalistic disco-pop with catchy lyrics & beautiful half-sang/half-spoken melodies.